Don't forget to include /public/home/cotton/software/MARVEL-bin/lib.python in your PYTHONPATH. ########## otherwise the random file access can make LAstitch pretty slow. 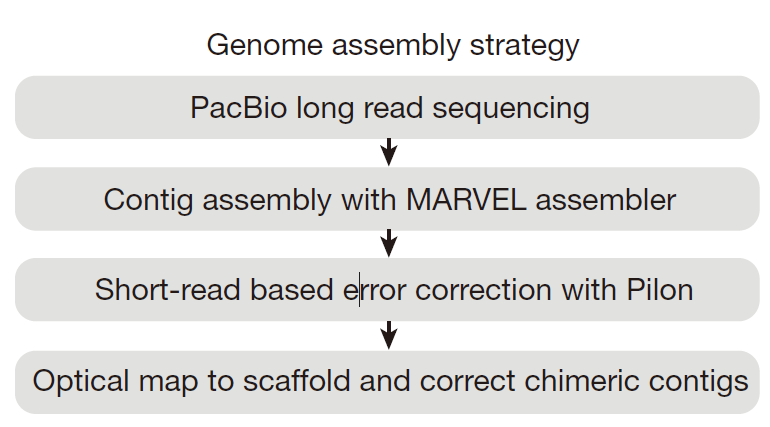 This file contains the steps we took to assemble the axolotl genome. echo "1. initially the database"
While preliminary calculations for computational time and storage space estimated over multiple millions of CPU hours and >2 PB of storage for one daligner run, the usage of a dynamic repeat masking server (below) reduced this dramatically to 150,000 CPU hours and 120 Tb of storage space for the complete pipeline.